This weekend was pretty fun. 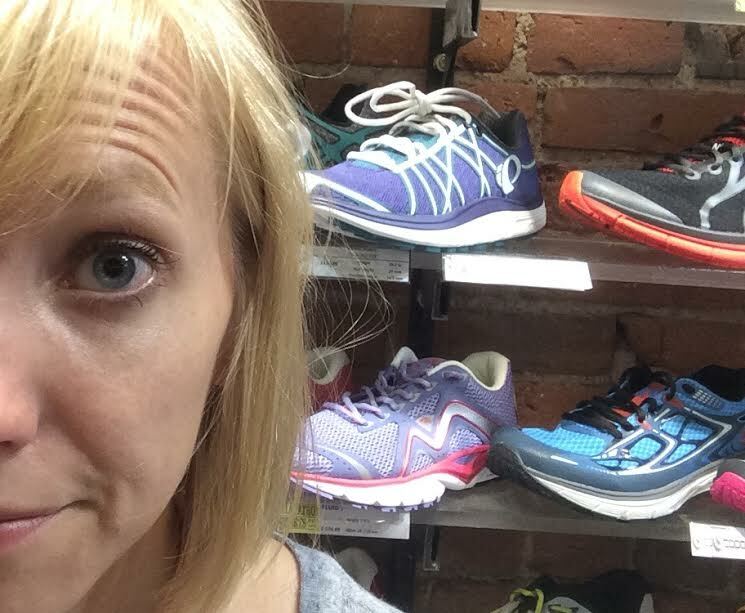 It included a wine-induced trip to Marathon Sports where I bought a new pair of running shoes with gift card that had been burning a hole in my pocket since Monday. I decided to take the plunge and try the Brooks Pure Cadence. 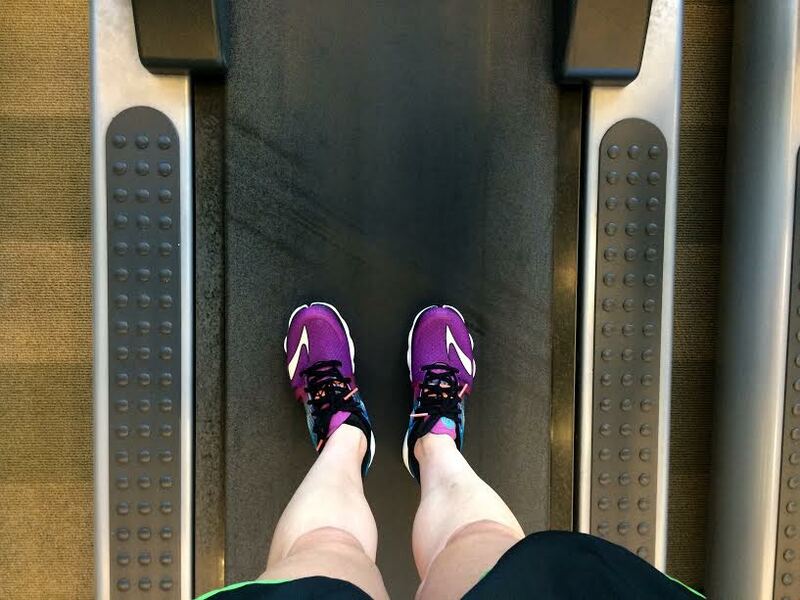 I’ve never run in them before, but they seem similar to my New Balance 870s except they’re even lighter! Of course after strolling around the block in them my itch to get back to running increased 1000x. So yesterday, after much discussion with S and the voices in my head, I decided to give running a shot again. It went pretty well. I decided to do 2 minute walk to start, followed by 5 minutes of running (at whatever pace felt ok, which turned out to be about 9:20s) and then 2 minutes of walking to finish. It wasn’t painful per se, but it did feel awkward. I felt almost lopsided. I don’t think I was in pain, it’s just my left foot felt so inflexible in comparison to my right. Oh, and I’m also suffering from a nasty little blister on the bottom of my left big toe right now, so that hasn’t helped anything. But! I was pretty psyched with myself and I’m hoping to try again a couple more times this week. 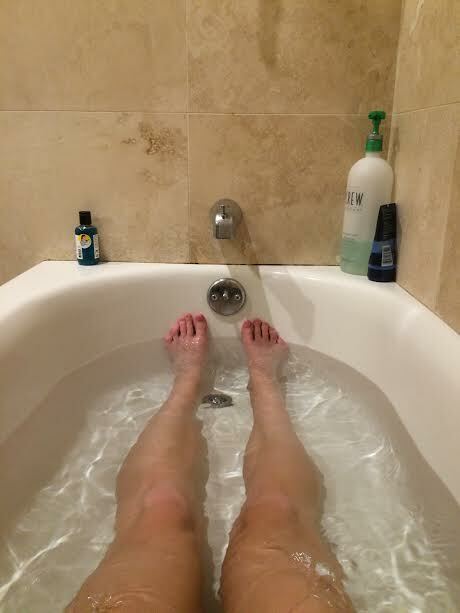 Of course I followed it up with an Epsom Salt bath (so much better than an ice bath) and I iced my foot afterwards. Then I threw on some compression socks, stretched, foam rolled, and crossed my fingers that I’d wake up feeling ok in the morning. And, I have to say, I feel pretty good today. The blister is still tender and causing problems, but I think the tendonitis is at ease. If my luck holds up I might try again tomorrow! Good news and cool shoes! Yay new shoes and a new start to running. Way to go girl… Wishing you all the best.